Normally when I write these reviews I start off by explaining how the game came into fruition and then talk about the game itself by dissecting what makes the game so great. This review is going to be different. 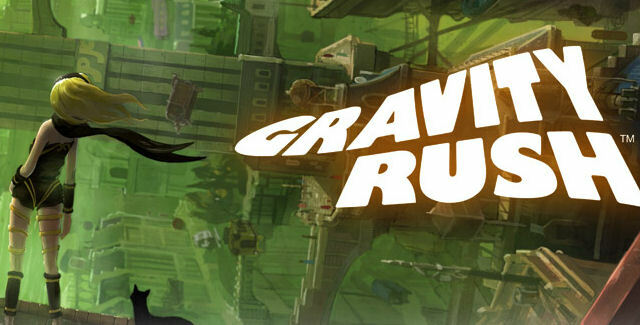 Speaking as a gamer who has been disillusioned from every medium of fiction (including gaming) for the past decade, absorbing information only on a technically crafted level with no regard to whether I enjoyed myself or not, Gravity Rush is the most fun I've had in a video game since Outrun 2 and I'm going to tell you why. 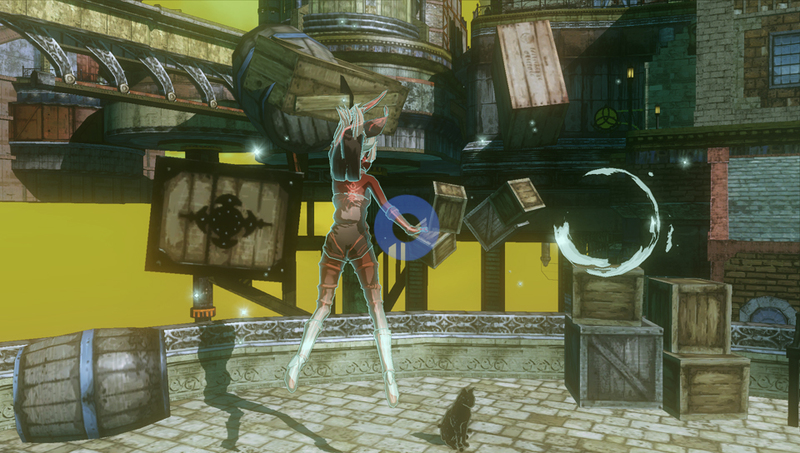 Mechanically, Gravity Rush isn't anything new. It's an open world sandbox adventure game where you are given a set of powers that allow you to traverse the city however you please (the creators of the game said that the Xbox 360 game Crackdown inspired them, and it helps that they chose one of the best sandbox games as their inspiration). The problem is this statement generalises Gravity Rush to where it does the game a disservice. The crux behind the game is the titular gravity mechanic that the protagonist Kat employs as her primary ability. The gravity mechanics helps to elevate the game (no pun intended) into something special. To adequately describe how pleasing the mechanics are is something that no known metaphor can accomplish. The process starts where your body floats in mid-air as a cursor appears. After choosing where you want to go, you let go of the R button and Kat launches in a given direction (you can even do this again in mid-air which leads for more technical flight choreography). 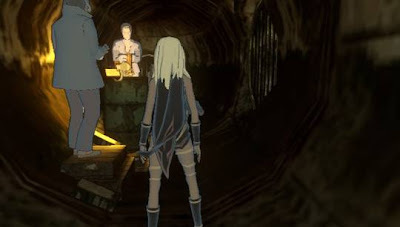 The frames that depict your character turning from spunky animé magical girl to lifeless rag doll are some of the most memorable in modern gaming history that solidifies Gravity Rush as one of the all time greats. If you placed Kat in a featureless white room (which the game literally does at one point), it would still be an amazing game. However it is the secondary character that everything hinges on: The town of Heklesville itself. Not since Secret of Evermore has a game world been so mysterious and secretive. Almost all sandbox games aim for this kind of approach, but this succeeds more than the rest. I think the reason for this is that the multitude of games that precede this only think in a smaller number of dimensions as the characters are always hindered by gravity (nothing beyond the ground (or sewers) for example). This whole review may seem like gushing but this is because I am. I don't really want to talk a whole lot about Gravity Rush because so much of the joy of the game is finding all of this out yourself. In fact it's rather amazing how this game feels like a breath of fresh air when sandbox games are one of the most over-saturated genres there are outside of first-person shooters. This could be just cultural preference talking but I reckon this is due to the development team's heritage. For one thing the developers most popular credentials are the first Silent Hill game and the Siren series. Perhaps Team Siren wanted to take the brooding atmosphere of their horror games and apply it to a magical girl simulator? Or perhaps they just wanted to show the creative potential of the Vita? Either way they truly succeeded in making a magnificent games and I hope they continue onto more fruitful niche endeavours.